Shukar Tera Lyrics - Samrat And Co.
Shukar Tera Lyrics - Samrat And Co. - This is a romantic song which is picturised on Rajeev Khandelwal and Madalsa Sharma. 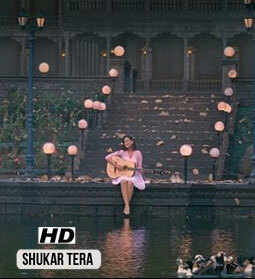 Its music and lyrics are given by Mithoon while its is sung by Chinmayi Sripada and Arijit Singh. Jo mili naa mujhko kahin..